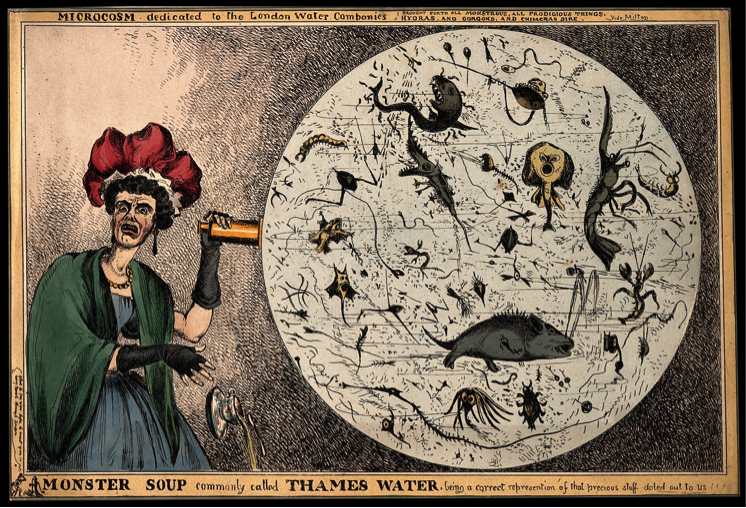 We need research to present the scale of the problem, so we can develop more informed interventions, because at the moment the threat of AMR is unknown in our environment (like the Thames Water "Monster Soup"). On the 2nd March, I attended a workshop on Interdisciplinary Research and Antimicrobial Resistance (AMR). Participants had opportunities to hear about existing examples of successful interdisciplinary collaboration, how to develop links with potential collaborators for research proposal development and explore future interdisciplinary funding opportunities. There was a focus on global research. UK Research Council representatives were present. Delegates came from a variety of disciplines, from many different universities. Disciplines included: History, Anthropology, Life Sciences, Microbiology, Social scientists, Geography, Architecture and Design, Nursing, Medical humanities, Science and technology studies, Ecology and evolution, Health psychology, Education, Veterinary, Policy and social research methods, Behavioral sciences, Health science, Public health, Health economics and Zoology. AMR is about drugs and bugs! There is a feeling that social sciences are subordinate to the white coat sciences. We have to solve solutions together as they are beyond doing alone. We have to speak to other scientists in their own language or at least speak in a common language. What contributions can each discipline make? We need to develop long-term collaborations to design research and raise interest for AMR in local social researchers. Clinicians must teach social scientists and vice versa. Please do get in touch, should you want to discuss this workshop, or my research at Warwick on AMR in South Africa. I would also be interested in discussing your own research at Warwick related to AMR. I am thinking of organizing a discussion seminar this summer, so do get in touch if you are interested in joining in.